You are invited to an Eat With Muslims dinner & one act play called One Cup of Tea. EWM & St. James Episcopal Church of Kent, are in collaboration of this play about friendship and cultural differences. 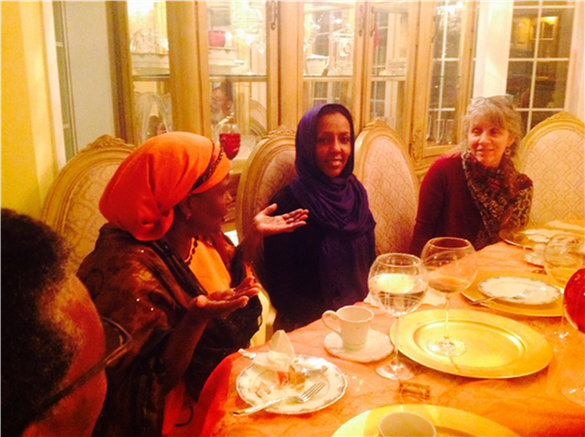 EWM is a project founded by two Somali American women. This project allows people of all backgrounds to come together and share stories from each other’s perspectives. The only thing you need to bring is your beautiful soul! Ms. Aden is a Somali-American who has studied Economic and African Studies at the University of Washington, and who has recently finished law school at American University. She has advocated for immigrants and asylum seekers from all different backgrounds.